Thinking of building a ranch, colonial, or an insulated garage? One very attractive option is to use SIPs for the walls and conventional trusses for the roof. 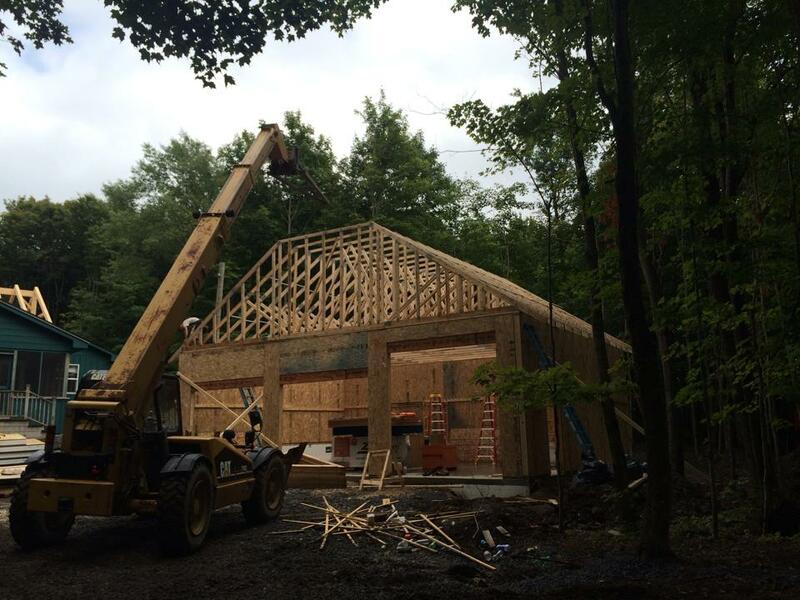 The trusses are typically insulated using dense pack cellulose. The result is a building envelope that has very little stud loss. These buildings are extremely efficient and relatively inexpensive to build. Buildings can often be erected in days, not weeks, which saves money on labor. Contact Foam Laminates of Vermont for a free estimate for the SIPs portion of your project.